After waiting with bated breath for a Tesla go-private announcement only to see Musk do a 180-degree swivel and decide to keep the company public after all, Wall Street is busying itself with a fairy tale: what if Apple buys or invests in Tesla? Let’s take both scenarios and see if this marriage (or meal?) is worth exploring from a practical standpoint. To be fair, I’ll reveal that I’m arguing against this happening. What I don’t agree with is how each company sees its IP. Although both companies are biased towards better hardware design, more powerful software and Artificial Intelligence (Apple…AI…Really? Well, as Michael Lee Aday of Meat Loaf crooned: “Two out of three ain’t bad.”), Tesla – because of Musk, mainly – is all for sharing technology after they’ve fully explored it. They’re willing to share their Superchargers, their patents and even some of their software. Of course, core IP such as battery tech still remains a closely guarded secret, but Tesla still reveals more than other companies. Apple is very, very different. iOS is not open source, and any infringement against iPhone design elements are viciously fought over in courts across the world. Samsung knows this only too well. So, no, Apple and Tesla aren’t similar companies. Sorry, Apple, but Tesla can do this without you. There are enough ways for Tesla to get the money it needs to keep increasing Model 3 production and still keep pushing out new products like the Model Y, the Tesla Pickup and the Tesla Semi. Tesla hasn’t even begun to make inroads into the $20,000 to $30,000 auto segment. The $49,000+ Model 3 is already competing with much cheaper ICE (internal combustion engine) cars, as we’ve shown in recent articles. Once Tesla is able to move below the $35,001 price point for its EVs, all hell will break loose. On the automation front, Apple hasn’t given us anything to speak of. Project Titan is such a tightly held secret that little is known about how much progress they’ve made apart from the fact that they applied for a testing license in the State of California last year and that they have a fleet of about 66 cars (as of July) and 111 drivers testing their autonomous tech on California’s roads. The fact that they have the third largest fleet (after GM Cruise and Waymo) tells us little about how far they’ve come. Tesla, on the other hand, has its entire customer base testing out its Autopilot. To be fair, Autopilot is currently little more than an ADAS (Advanced Driver Assistance System.) Full Self-Driving features are going to be slowly rolled out starting with version 9.0 of their software, and the subsequent release of Autopilot Hardware 3.0 will give thousands of Tesla EVs the infrastructure to test autonomous capability under real-world conditions. Granted, Tesla still cautions its EV owners that the driver must be prepared to take over at all times, but greater self-driving capability is going to be irresistible for the average Tesla owner to try out and report about once the new firmware and hardware are both released. Full autonomy is only expected with version 10 of the software, but knowing Musk there will be some cool self-driving elements in v9.0 to begin with. While I agree that Apple can offer Tesla practically unlimited financial and technical resources, this might not be a direction that long-term Tesla investors would want to take. A large portion of them have already told Musk that they want to remain in a public Tesla, so going private is off the table for now. That may change if Apple comes in with an investment offer to the tune of $10 billion, but the 20% dilution is going to be hard to push past Tesla shareholders. In addition, I completely disagree with the “make Teslas even better” argument. Tesla already makes the best Teslas possible, and it’s hard to find an area where Apple can contribute other than being a go-fer for Tesla’s design team. I’m pretty sure Tesla’s long-time design chief Franz Von Holzhausen will have something to say about Apple encroaching on his territory, and it wouldn’t surprise me if he quit over it – not something Tesla can really afford at this critical conjuncture. The one thing I wholeheartedly agree with is that it would be a fantastic deal for Apple. Its investors would be more than happy to see the cash horde put to good use, and Apple will certainly benefit from buying or investing in a company that’s ahead of everyone else in the EV space, and possibly the autonomous driving space. As for Tesla, either type of deal would stifle its creativity because instead of being answerable to investors who are largely on board with Musk’s style of leadership and ability to take the company forward, the company would be answerable to a larger group of not-so-understanding shareholders who are used to much higher levels of profitability. I believe that will hurt Tesla in the long run rather than help it. Even though going private may not be an option anymore, a private Tesla would have had a more maneuverable decision-making engine that’s not always focused on profitability alone. That’s counter-intuitive to an Apple investor. Amazon is a great example of a company that doesn’t care about the bottom line as long as it’s growing. And Amazon’s founder and CEO Jeff Bezos has now vindicated his view that focus on growth is paramount. AWS, their cloud division, has given them all the profitability they’ll ever need. And even if AWS was not in the picture, Amazon investors are no longer worried about unsustainable growth because economies of scale have ensured that Amazon’s retail business in its core North American market is now consistently profitable. 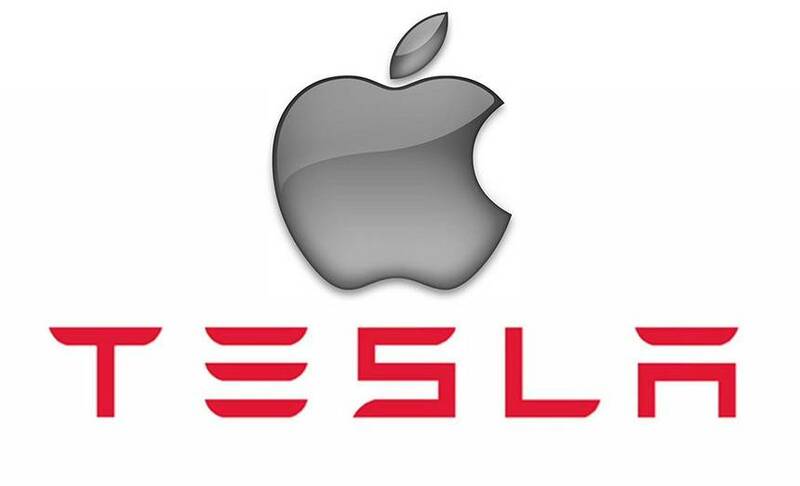 Tesla under the Apple umbrella would never reach its full potential because Apple’s investors are used to relatively massive operating margins and the delicious dividend fruit. The pressure to put profitability over growth would be more than Musk could handle. Besides, Apple will never go for deal involving non-voting shares even if that were on the table. Munster himself admits that “an equity investment won’t happen,” and that they “don’t see Apple agreeing to non-voting shares.” So, while it’s a nice journey into fairy tale land, it’s really hard to build a case for a major investment from Apple that will see Tesla benefitting from it. On the other hand, if Apple were to make a bid for GM, which they won’t, the auto major’s investors might be more than happy to acquiesce and take a figurative back seat to the tech giant. Tesla and Apple are better off doing their own thing. In other words, they’ll live happily ever after, but only if they have nothing to do with each other.